Complement your fashion with our quality jewellery designed to add taste to your gracefulness. This brand of our floral jewellery would make you feel like royalty, brighten up your wrist and polish your overall look. 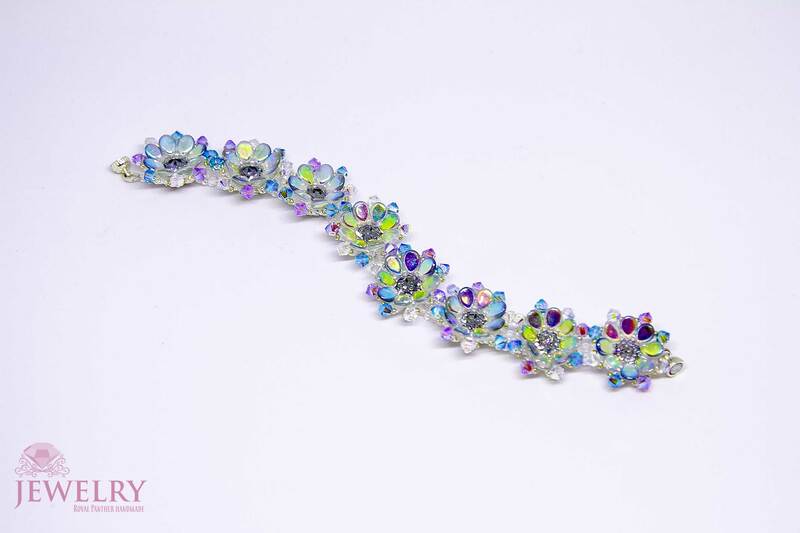 Designed with high quality Toho and Miuyki seed beads, fine Preciosa components and Swarovski crystals, your appearance is surely bound to be rich in beauty. “Miss Daisy” are have 3 Sizes to choose from, the perfect size to make you look timeless in grace. Made with high quality durable Swarovski crystals, “Miss daisy” is a quality jewelry designed to attract positive attention to you. Thinking of what to wear that would match your clothing, “Miss daisy”- our floral jewellery would align with any choice of clothing and help you to catch that attention. Weighing just …, “Miss daisy” are light on your wrist easily displaying the world quality and beautiful Preciosa it is made of, adding to the complete charm you intend to have. Designed as a floral jewelry, let your hands be covered in beauty. Just like a flower bloom with sunshine, let your hands blossom with “Miss daisy” as sunshine. Available in two different colours, this quality jewellery is made of fine Toho seed beads designed to enhance the complete look of our floral jewelry. 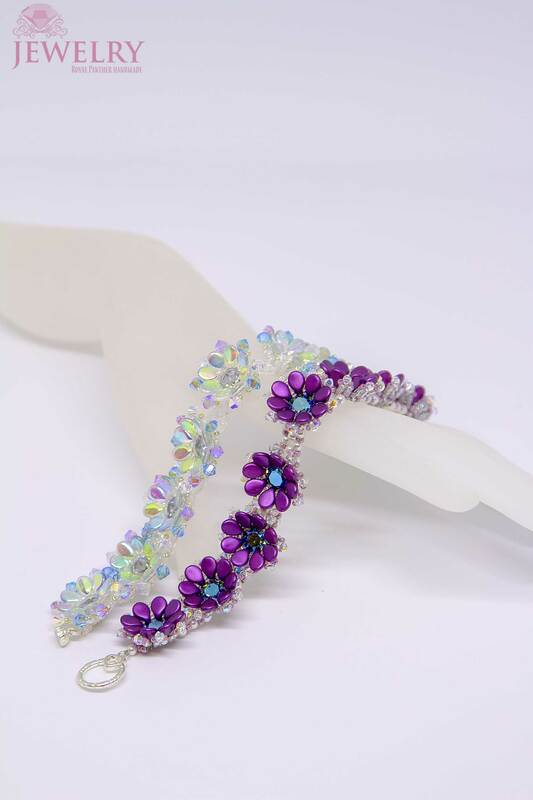 Our bracelets are designed as a decorative bracelet to give you that long lasting appeal making you to showcase and attract the attention you desire. The Toho seed beads same as Miuyki seed beads used in creating our brand of quality jewellery are of the best quality designed to your taste and of the fashion trend you want. The Toho seed beads are used because they are of a perfect shape with a bigger hole making the creation of a light bead with thinner walls much easier, helping our floral jewelry to look that light yet elegant. The Preciosa used in making this quality jewellery is of high quality, and it is a transparent and fine crystal glass accurately cut to ‘reflect your beauty’. As a supplement to all these components, the Swarovski crystals used gave “Miss daisy” an overall diamond look.